WASHINGTON – It’s not often that anything emotionally lights up Washington and New York City, where celebrities and motorcades usually only mean inconvenience. But there is a rollicking thrill in the air on the nation’s East Coast over Pope Francis’ maiden trip to the United States. 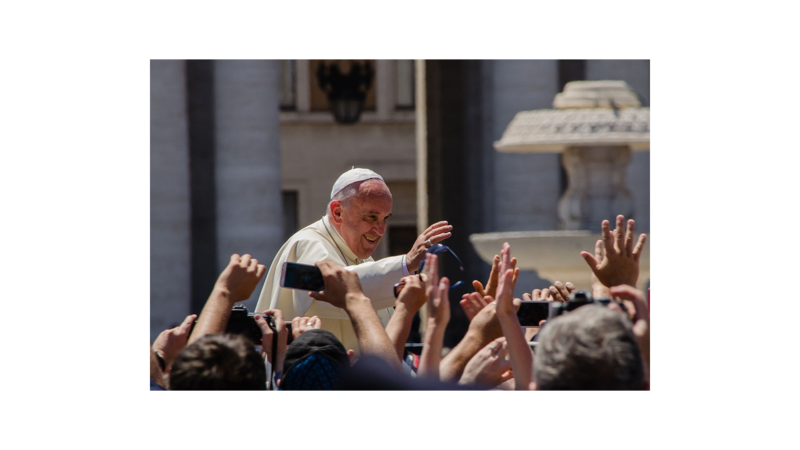 The pontiff's itinerary includes many of the Catholic and secular landmarks of the nation’s capital and its largest city. But it’s his joint address to Congress on Thursday that is sparking the most excitement among political junkies – and some anxiety. “The pope of course, represents the Catholic Church and will have an opportunity to talk about how the church is a force for good around the world,” said U.S. Rep. Joaquin Castro, a Catholic Democrat from San Antonio. The pope’s shakeup of Catholic politics in recent years suggests that members sitting before him in the U.S. House chamber, including those in the Texas delegation, will find plenty to agree and disagree with during his speech. Thirty-one percent of Congress — and 21 percent of the Texas delegation — is Catholic. Regardless of denomination, each member may bring a guest to the joint address. U.S. Rep. Beto O’Rourke, an El Paso Catholic Democrat, is bringing his mother. Castro's guest is Archbishop of San Antonio Gustavo Garcia-Siller. U.S. Rep. Randy Weber, a Friendswood Republican, invited a devout constituent, Eugene West of Beaumont. “She wanted the opportunity to see a pope before she died, but has never had the opportunity until now and the congressman was just delighted that our office could provide her with this chance,” Weber spokeswoman Courtney Weaver wrote in an email. The pope arrived in Washington on Tuesday afternoon. On Wednesday he will visit the White House, participate in a parade and conduct mass in the nation's capital. After his address to Congress Thursday, he will travel to New York City to appear at St. Patrick's Cathedral. He will crisscross Manhattan on Friday, speaking at the United Nations General Assembly early in the morning. Then he will visit the 9/11 Memorial at the World Trade Center in downtown, travel uptown to a Catholic school in Harlem, ride through Central Park and conduct mass at Madison Square Garden. Both cities are preparing staggering security measures. Security measures for his Washington visit will exceed Inauguration precautions. The New York Post described Manhattan's Upper East Side preparations as resembling "a war-zone." Late Saturday night, city workers on Fifth Avenue could be seen sealing up manholes on the pope's travel route, as pedestrians cheered the occasion. He will then travel on to Philadelphia. Most of the excitement is joyful, but not everyone is pleased with the pope. Some in conservative circles are vocally uncomfortable with the pope’s environmental stances, along with his positions on income equality. One House member, U.S. Rep. Paul Gosar, R-Ariz., announced he would boycott the speech over disagreements on global warming. So far, no Texans have indicated they will follow suit. One member of the delegation, U.S. Rep. Michael McCaul, R-Austin, aimed to scale back the tone earlier this week. "I read something interesting the pope said: 'I'm not here to advance a Republican or Democrat agenda but a humanitarian agenda,” said McCaul, a Catholic. “I think everybody has a tremendous amount of respect for this pope, particularly the fact that he's so willing to get out amongst the people,” he added. “He's called the 'People's Pope" for a reason: I think people identify with him more than they have previous ones." Similarly, Democratic Catholics will likely fidget in their seats if he addresses another topic: abortion. Three weeks before his visit, the pope announced that priests have the authority to forgive the sin of abortion. He did not, however, condone it. The issue is point of conflict for most Catholic Democrats, including House Minority Leader Nancy Pelosi of California. No matter their place on the political spectrum, members hope that the pope will lure the opposition to their line of thinking. “Any help we can get from anyone on that would be great,” Castro said of climate change. “I hope that members of Congress will have a chance to reflect on his message."